If you want to travel from Penzance to Aberdeen by rail in 2017 your fastest direct option is the 6.28am from Penzance arriving Aberdeen at 8.48pm, a journey of 14 hours and 20 minutes. It's not the fastest way to do it, that would be the 05.05am arriving in Aberdeen at 5.53pm, a journey of 12 hours 48 minutes via London and Edinburgh. But today's topic is the direct train which first ran on the 3rd October 1921 covering a distance of 785 miles in just over 22.5 hours. The journey is described in The Cornishman of 5th October 1921. This was the first journey and was restricted to the press and railway officials, the public service would start the next day. A whole train for journalists and railwaymen? Well, no, the service is actually just one or two through carriages which were attached to appropriate trains to complete the whole journey without any need for the traveller to actually change trains. The Cornishman makes no mention of the fact that this train is actually just a carriage, despite going into considerable detail about the route and facilities offered – a restaurant car and sleeper car are available and the service is most civil – no mention is made of the shunting involved in detaching and attaching the carriage(s) at Westbury and at least one other point further north, probably York or Newcastle. 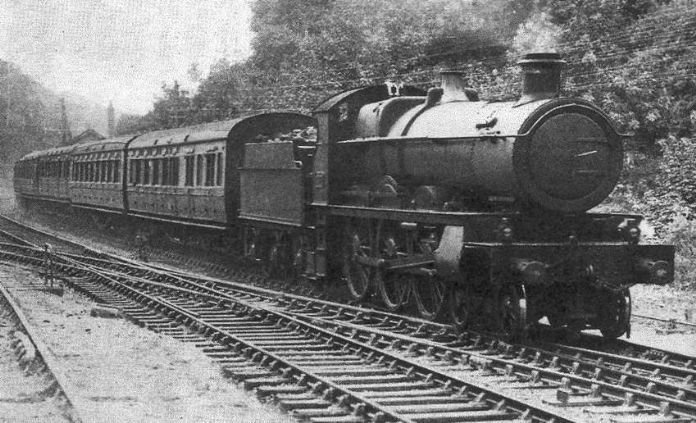 GWR 4-6-0 Albion, no. 2971, descending Dainton Bank with the Penzance - Aberdeen service. But The Cornishman's journalist got his free seat and understood the nature of the deal. He gives a glowing account of the service, the possibilities, the views and quality of the sleeper and restaurant cars. In the past 96 years the service has come and gone from the timetable and has made use of a variety of routes. 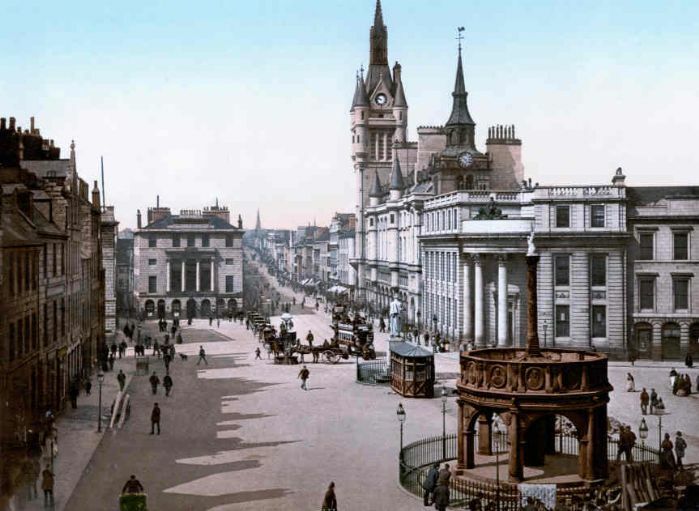 By 1932 it was running via Birmingham and Wolverhampton where the Aberdeen coaches were detached and added to a train bound for Crewe and Carstairs Junction then on to Edinburgh and Aberdeen. Today the service, which takes in 44 stops, makes an interesting diversion from Bristol Templemeads via Patchway Junction through the Severn Tunnel to Newport and then up to Gloucester. Of course you might just choose to fly or drive. But you'd need to be a bit of an enthusiast to do either in 1921. Mr Cedric Appleby, whose store of railway ephemera is matched only by his readiness to share what he has gathered over many years.